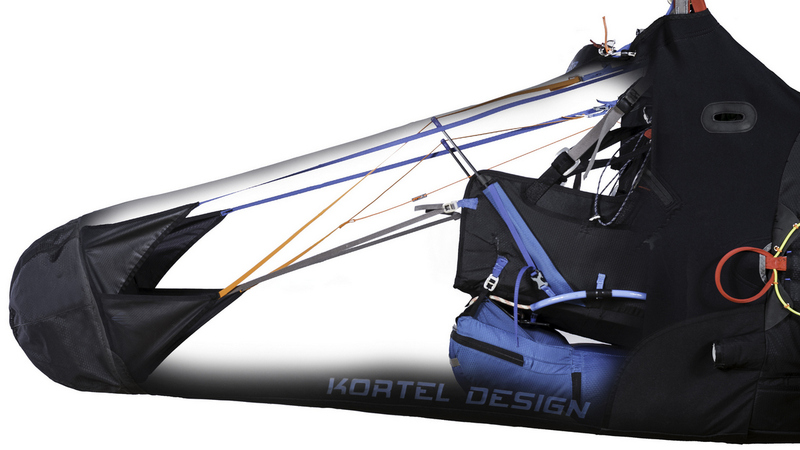 The RACE 2 came mostly set up from Kortel, with the speedbag, back protector, speed system, variable stabilization system, seat plate, foot plate and carabiners all in place. This is good news, especially since the quick guide and user manual Kortel provide for the Kanibal 2 are very basic, and could do with improving! The “dorsal batons” came separately. These are two long flat grey honeycomb plastic battens with loop fastener at one end. They are inserted through holes near the shoulders and run down to the seat plate, and give lengthwise tension to improve comfort, control and handling. This is fairly easy to do, and Kortel have provided a useful instructional video on how to do this, which is quite clear. 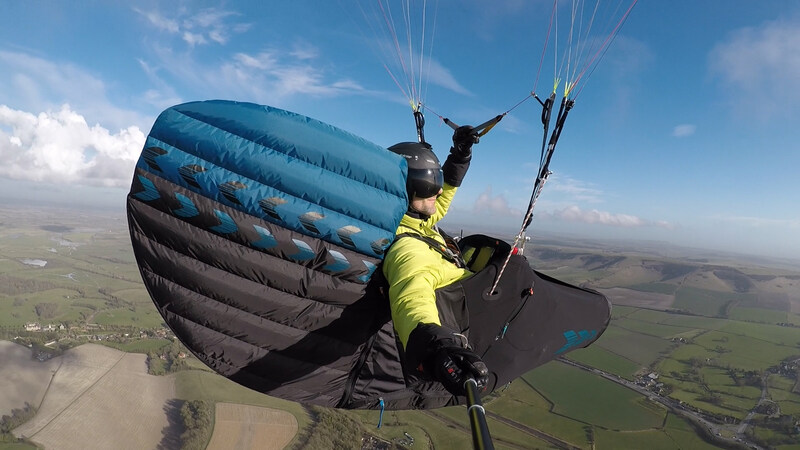 The harness was delivered with the right-hand reserve parachute compartment open ready for fitting the reserve and the left hand side temporarily blanked off, until you want to fit a second reserve. The reserve parachute bridles are two separate ends (“H-bridle”) rather than one end (“Y-bridle”). Opening up the reserve container, and the channel for the bridle running up to the shoulder strap attachment points, it’s clear a lot of thought has gone into designing a very neat and effective reserve system. There is a neat little pocket at the top of the shoulders for the reserve bridles to sit in. The bridles are colour-coded – black running to the right hand side, blue running to the left hand side – so they are easy to differentiate. They have been designed so that they are removable, which is great if you want to fit a steerable reserve system, something I really wish all manufacturers would do! I fitted my High Adventure Beamer 3 (Rogallo) steerable reserve parachute as primary reserve in one compartment, and a Companion SQR (Square-Round) reserve in the other as secondary. There is ample space to accommodate the reserve bridles and steering toggles of the Beamer 3 in the shoulder-top pocket, which is great. However I found the very neat ‘channels’ made from material, designed to hold the bridles nicely in place, with several small poppers to close them, were a bit tight for the toggles, although with care I could fit them in there and close the poppers – just! NB: In some of our photos and video footage I had fitted the reserve handle slightly incorrectly, causing it to stick out. Now fitted correctly, it sits fine – as it should! The RACE 2 has stiffened sides that really support you, giving great comfort without restricting your movement. There are small rods beside your knees that raise a strap to support your legs which makes it less effort to keep your feet extended. These are easy to unclip for packing and reclip for flight as they retain your ideal setting. The harness has adjustable stability, which Kortel refer to as the variable stabilization system, engaged via a cleated line that makes the harness stiffen up and feel more secure. I found this effective, but operating it in flight took a little bit of getting used to; with a bit of practice, I got the knack of it. 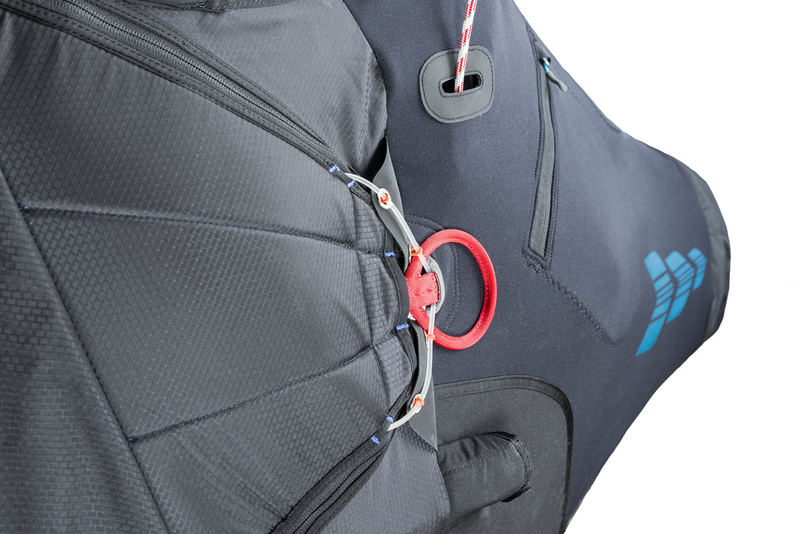 The leg and chest straps are integrated, has two connection points (‘get up’ system), secured using quick release safety buckles with big red buttons that prevent the clips from opening accidentally. To get to the back pocket you open the tail and slide it aside, revealing an easy to access pocket with generous space and drink tube routing. Under the seat is an area for the ballast bag, it comes sealed but you can open a hole through a reinforced section if you need to. The harness comes supplied with a three step webbing speedbar and ratchet pulleys. The footplate system is easy to adjust, with V tabs leading to buckles. 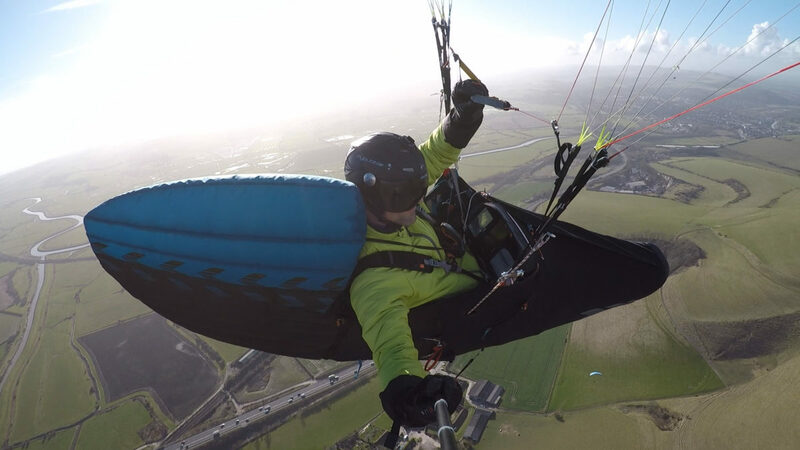 Launching was comfortable, but the fairing towers above your head and can obstruct your vision somewhat when you turn to check the wind – I found myself ducking under the tail and turning more than usual to avoid interference. Once in launch run position, the harness sits comfortably in place, the flight deck rotates nicely to prevent you squashing the instruments, and the fairing sorts itself out – I didn’t notice it bouncing or irritating me. I slipped into the harness and got my feet and legs inside the speedbag easily every time, without needing any bungee cord or special technique, either wearing with my trainers or my Hanwag flying boots. It has a big aerodynamic tail fin designed for optimised tolerance to airflow variation. You need to take care of it when you pack it but it folds easily away. Some fairings can cause a snaking effect; not so on the RACE 2, it is very yaw stable. Weightshift command is excellent, and I found myself enjoying the feeling of carving turns where the whole harness remained in contact with me and provided feedback. Keeping the stability setting loose in light conditions allows for maximum feeling. The flight deck shows the typical Kortel attention to detail. It comes with a nice carry handle. You unzip and invert the bag and it exposes the instruments. There’s a compartment for batteries with holes for running charging cables safely to your instruments. 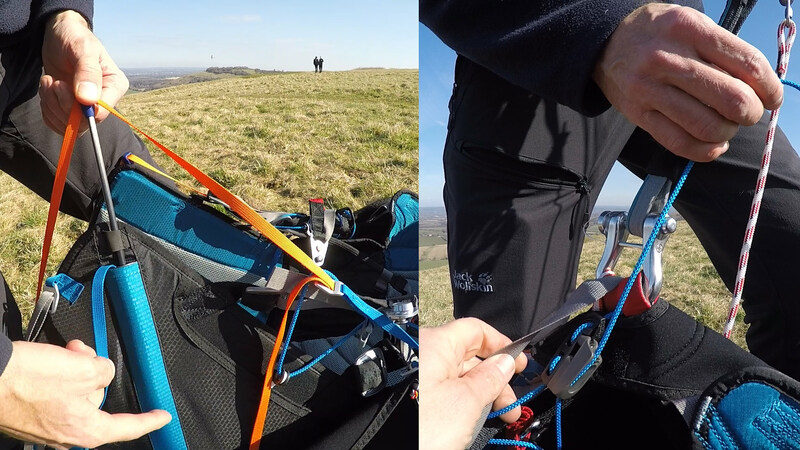 It zips onto the harness and is secured with a clip. In flight, it sits in an optimal position and offers a big flight deck area which fits many instruments. It fits my Naviter Oudie 4, Syride SYS’Evolution plus either my Samsung Galaxy Note 4 smartphone or Naviter Hyper perfectly. It has a nice big lip around the front, making it more aerodynamic and protecting the instruments from the risers and preventing lines getting caught in them. Great! A very important part of the harness is the comfort in flight. Speaking to Denis at the Coupe Icare, he told me that his design goal was to make the RACE 2 harness supportive but not restrictive. He’s put a lot of work into the shaping so the harness stay s in contact with your body. Having flown it in various conditions, I can vouch for the comfort. 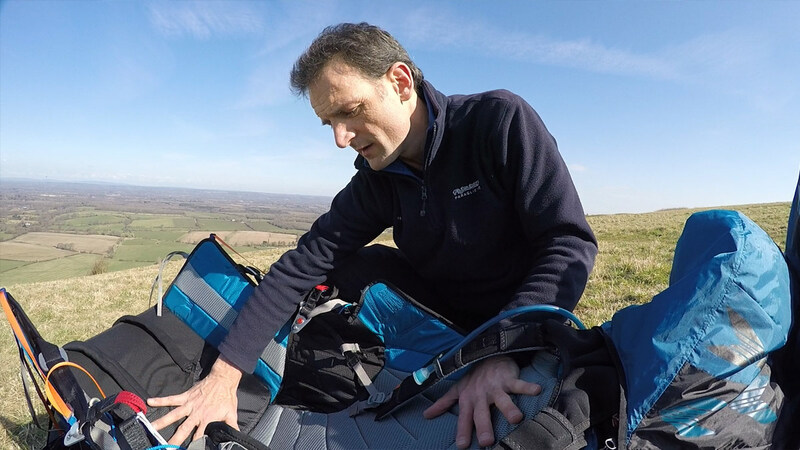 It is very supportive and is one of the most comfortable harnesses I’ve ever flown in. I could certainly fly in the RACE 2 for ten hours plus. 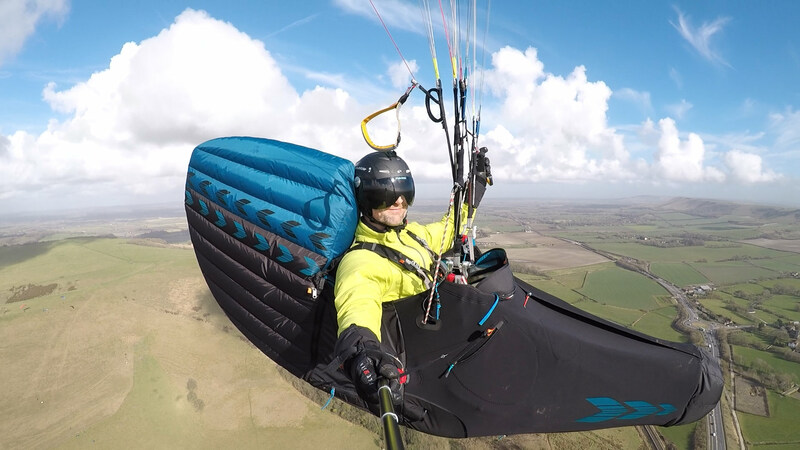 The stiffening struts run all the way through the harness from beside the shoulders to under the seat, and give it high tension lengthwise, giving you a feeling of control in flight, combined with shaped sides that make you feel in contact with the harness. I found packing away the KR2 straightforward: unclip the leg support rods; place the folded wing within the stiffened sides of the harness; tuck the footplate between wing and seatplate; fold the rear faring forwards over the wing; slip the rucksack over all and flip it over; make sure all is symmetrically located; do up the rucksack’s internal fixing strap and zip up. 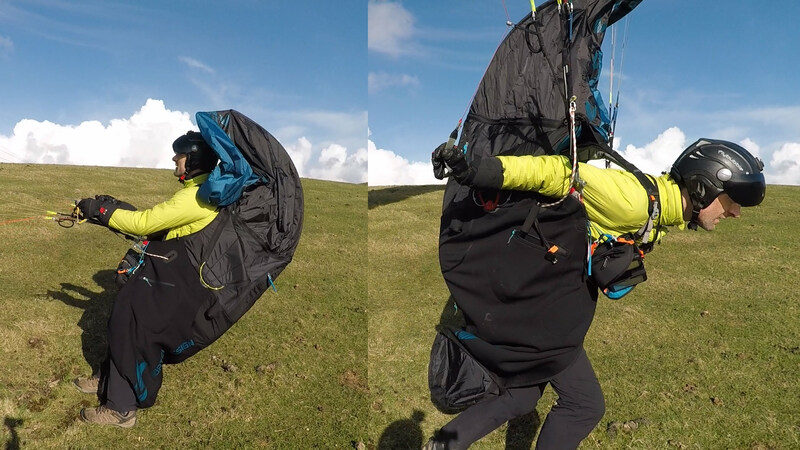 Although the Kanibal Race 2 is actually one of the lightest and most compact harnesses in it’s class (7.5kg for size M, compared to nearly 10 kg for the gargantuan Ozone Exoceat) it’s of course heavier and bigger than a standard lightweight pod harness like the Advance LIGHTNESS 2 or Supair Delight 2. This means that you need a suitably sized, larger rucksack. 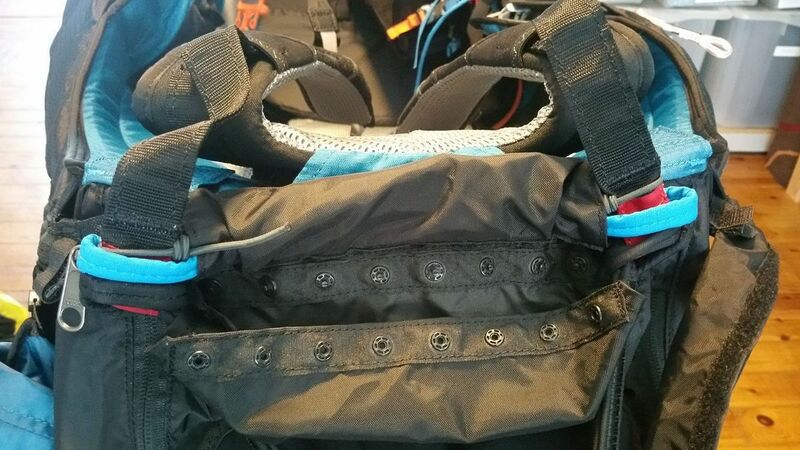 I tried various and found the Supair Trek 160 (shown above) a great fit and nice to carry; it also has a useful internal fixing strap to hold everything more securely in place inside the rucksack. KANIBAL RACE 2: Who’s it for? 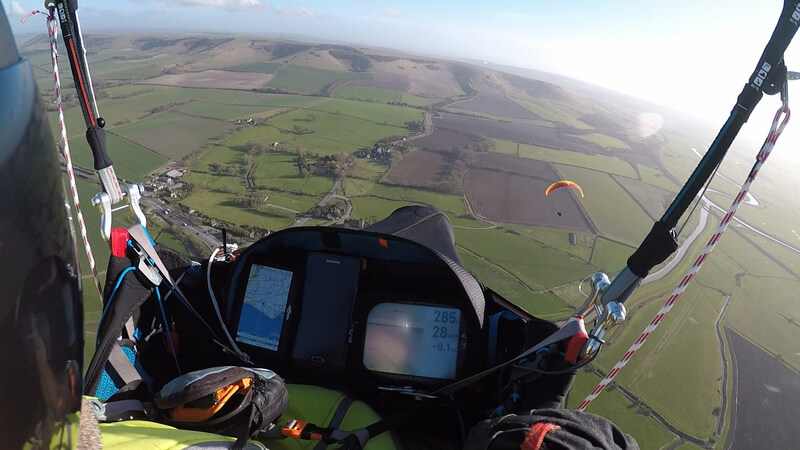 The RACE 2 is aimed at all competition pilots who are looking for every bit of performance they can get out of their harness. It is also great for serious cross country pilots who don’t mind the extra weight and bulk compared to a lightweight pod harness. 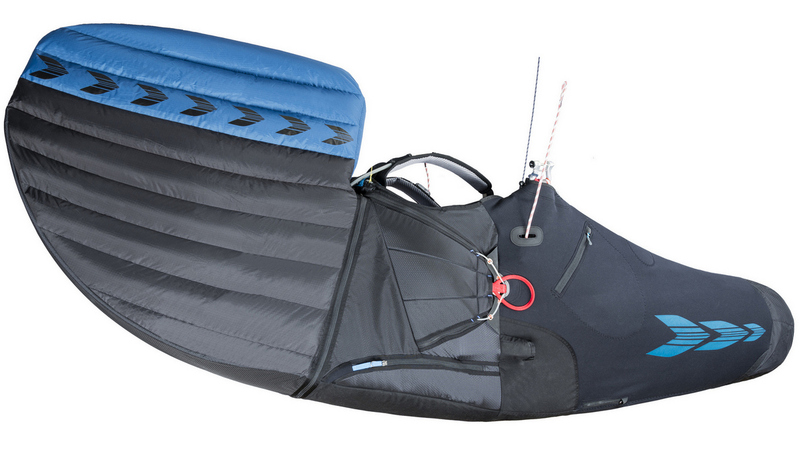 You get more performance and more safety without needing to step up to a hotter glider. It is very well made in every detail, yet one of the lightest in this class. 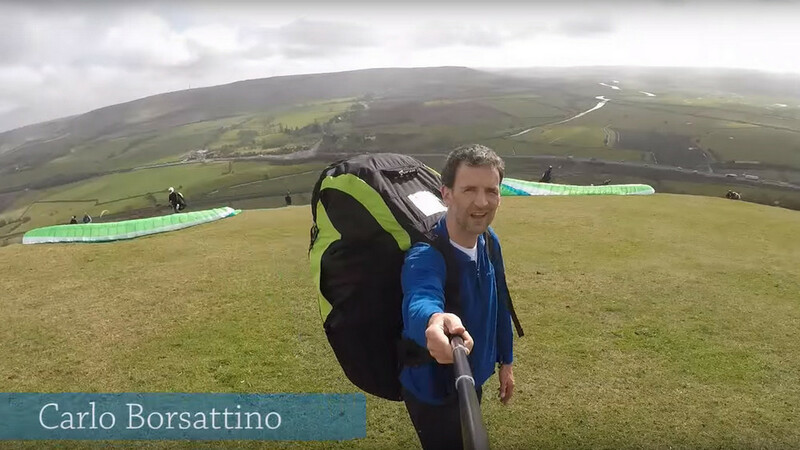 Optional extras include a water ballast pocket and drag chute, since not everyone will want these, and the harness is already expensive enough as it is! 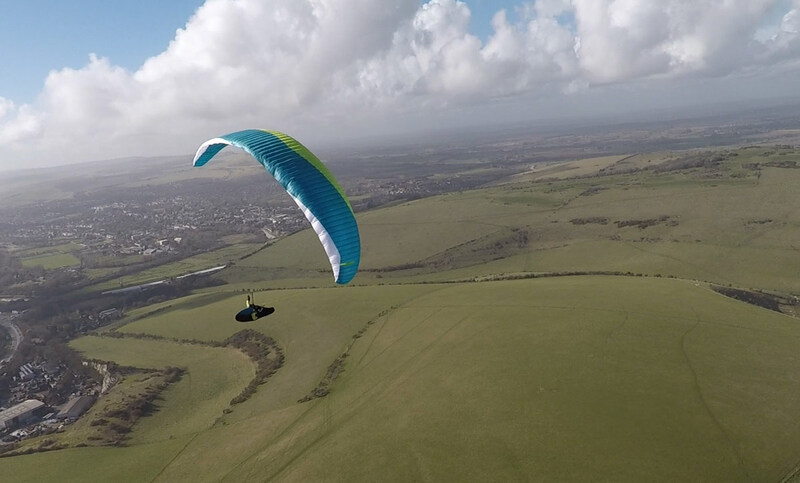 Overall, the RACE 2 is supremely comfortable with excellent aerodynamics and absolutely superb build quality.